Over the last 20 years, monarch butterflies have declined 90%. Their habitat is being developed at a tremendous rate meaning they have less milkweed for monarch caterpillars to eat. They cannot survive without it. 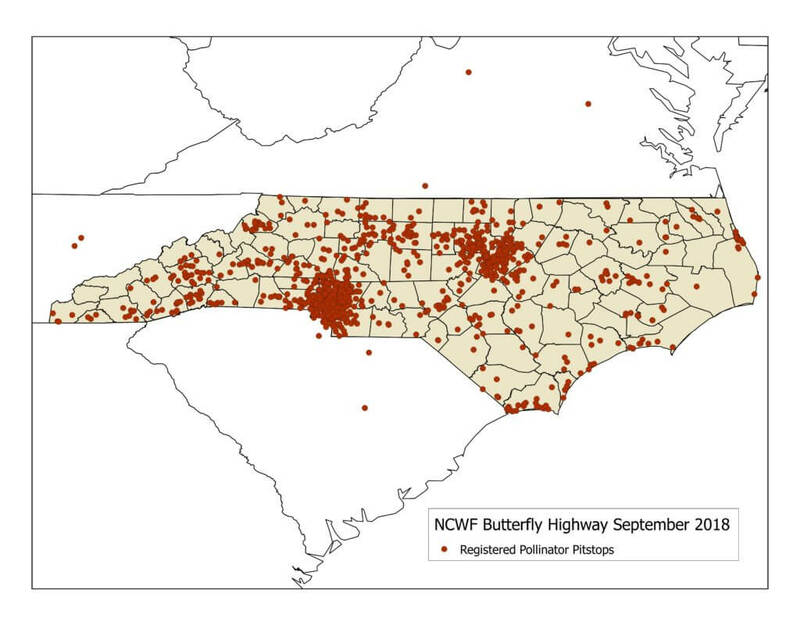 The Butterfly Highway program is a “highway” of connected pollinator habitats throughout North Carolina, providing monarchs and other pollinators with milkweed and other flowering native plants for them to feed on and take shelter. A Pollinator Pit stop along the Butterfly Highway can be as small as a container to large-scale roadside habitat restoration. 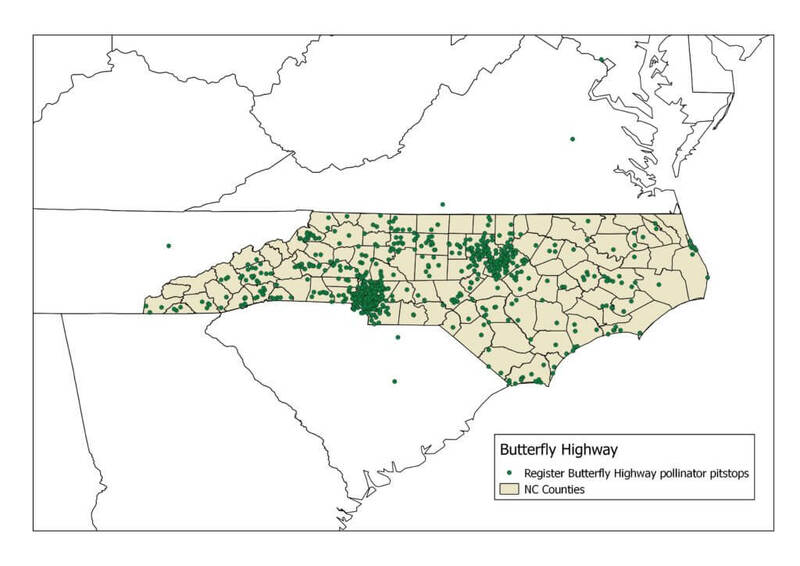 Over 30,000 acres of pollinator habitat have been registered since the program’s inception. You can be a part of the solution by registering your garden, planting pollinator seeds, and celebrating your commitment to pollinator habitat.